Raleigh, N.C., is accessible from outside the region via Greyhound bus service. Within the area, the GoRaleigh, GoCary (formerly C-Tran), R-LINE and Wolfline bus systems provide riders with an extensive network of local routes. 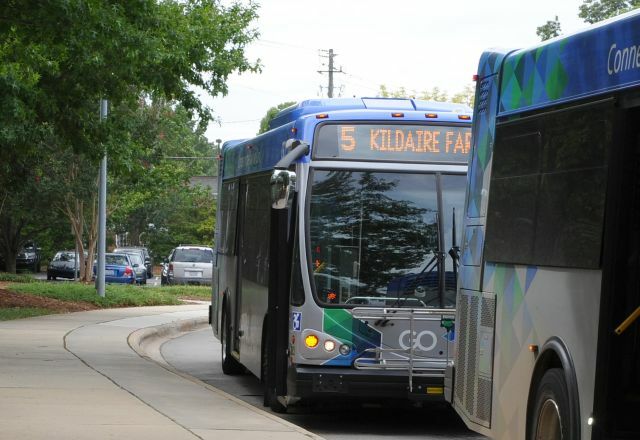 The Research Triangle Region (Raleigh area, Durham and Chapel Hill) is served by the GoTriangle bus service.